The Carbon Fibre Glovebox is made from an existing OEM Glovebox, which is laminated in genuine carbon fibre and finished off in a high gloss lacquer to protect from UV rays. After being lacquered the glovebox is polished and sealed off with a very high content Carnauba wax from our partners Race Glaze. Mercedes e280 w211 2009 amg TUNNEL MIDDLE BOX WITH ARMREST AND VENTS AERATION. Mercedes e280 w211 2009 amg TUNNEL MIDDLE BOX WITH ARMREST AND VENTS AERATION. Complete everything you can see in pictures. Model: VITO. Year: 2014. Part Type: Glove Box. Door: 5 Door. Body Style: Unknown. Opening hours. In the event that a part is supplied and proven to be incorrect or faulty, Hills Motors must be notified within 48 hours. OTHER CONSIDERATIONS. Our used parts are tested by us and any oversight is accidental. ANY COMPATIBILITY GIVEN SHOULD BE USED AS A VERY GOOD GUIDE 'ONLY.'. 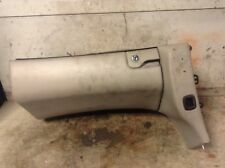 Genuine GLOVE BOX A1636890191. Cash only if collected in person! Donor car Car number 053. Item will be sold as it is shown in the pictures (you will receive exactly what you can see in the pictures). MODEL: M-CLASS ML 270CDI W163. ENGINE: 2.7 CDI DIESEL CODE: OM621.963. BODY TYPE: 5 DOOR SUV. TOP QUALITY CAR PARTS. THAT IS CORRECT PART FOR YOUR CAR! ASK BEFORE YOU BUY IF YOU ARE NOT SURE IT IS THE RIGHT ITEM. Your understanding and patience will be highly appreciated. However all marks considered bigger than normal wear will be listed. Model: s500. Year: 2000. Fuel type: Petrol. Engine: 5.0 v8. We are gladly at your service for any further queries. Mon - Fri 9:00 - 18:00. Goods will only be dispatched upon cleared funds. Key Features. (Except Malta, Cyprus, Canary Islands). This doesn't include NI, ROI, offshore, the highlands or international. They MUST be refurbished by a brake specialist before fitting to the vehicle. Based in Halifax, West Yorkshire, we will do all we can to ensure you get the OEM parts you want, at an unbeatable price. You must notify us within 48 hours of receiving the item so collection can be arranged. Engine warranties are only valid if new cam belts/idlers/tensioners are fitted prior to installation - proof will be required in the event of a claim. FOR YEARS: 2006, 2007, 2008, 2009, 2010, 2011, 2012, 2013, 2014, 2015 (2006). We do not cover labour Costs. We Do Not Cover Any Labour Costs Involved With Fitting Or Removal Of Any Parts. Taken From The Above Vehicle Currently In For Dismantling. ARTOM CAR PARTS. MY AIM IS TO MAKE SURE YOU ARE ALWAYS 100% HAPPY! IN GOOD, WORKING CONDITION AS SHOWN IN THE PICTURES ABOVE. WHAT YOU SEE IN THE PICTURES IS WHAT YOU WILL RECEIVE! 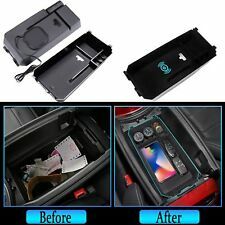 MERCEDES S-CLASS W222 2014- GLOVE BOX. (2) Fault or failure of an ancillary component, for example a radiator, timing belt, water pump, fuel injection system, turbo, coolant, gasket, hoses, etc. We cannot be held responsible if the item does not fit your vehicle. Will not block the Light in the Center Armrest. USB cables were allowed to get through the box to the Armrest. 1x Armrest Storage Box. Size:21 x 12.5 x 5 cm. Good communication is helpful for both of us to resolve any problems and issues. Our spares range, anything from a 2017 BMW to a 1991 Honda, with all makes, models, shapes and sizes covered in between. Failure to do so will invalidate any claims made. MODEL:E CLASS. BODY STYLE:Saloon. WILL FIT 2014-2018 CARS. PART NUMBER: A2056800191. REMOVED FROM 2010 MODEL. soton car parts. we test all car parts before removing them for sale. to help you with order. ENGINE M271. W203 COUPE, 3 DOOR. 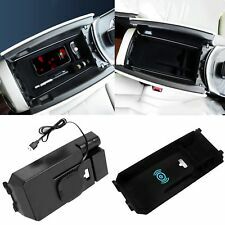 GLOVE BOX IN BLACK. A203 680 34 91, A203 680 50 50. Model version codeW204 (Saloon) S204 (Estate). An item has been previously used. Apex Car Breakers Ltd. ModelC Class. Number of gears7. Number of seats5. Number of doors4. Version date from2007-04-01. MERCEDES E-CLASS W212 (FL) GLOVE BOX PASSENGER DASH COMPARTMENT A2126802591 VIEW ALL IMAGES FOR ITEM CONDITION - PLEASE ENSURE YOU ARE 100% HAPPY WITH THE ITEM CONDITION PRIOR TO PURCHASE *PLEASE NOTE*: THE COMPATIBILITY TABLE IS FOR REFERENCE ONLY AND NOT A GUARANTEE THE PART WILL FIT YOUR VEHICLE. IF YOU'RE IN DOUBT SPEAK WITH YOUR MECHANIC AND COMPARE THE PART NUMBER (WHERE APPLICABLE) OR CONTACT US BEFORE YOU ORDER TO AVOID UNNECESSARY RETURNS IN THE INSTANCE OF A RETURN - PLEASE BE AWARE ALL OUR ITEMS HAVE THIER OWN SIGNATURE MARKINGS - PLEASE ENSURE ONLY THE ORIGINAL PART IS RETURNED AS WE WILL BE ABLE TO IDENTIFY ANY PART THAT IS NOT OURS. Adopts Wireless charging technique. Note: The real color of the item may be slightly different from the pictures shown on website caused by many factors such as brightness of your monitor and light brightness. 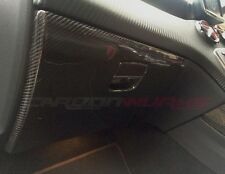 FROM C CLASS CL203 COUPE. Good working condition. We are gladly at your service for any further queries. Goods will only be dispatched upon cleared funds. Key Features. (Except Malta, Cyprus, Canary Islands). Colour: SILVER. Fuel type: Diesel. Year: 2005. This part is used previously fitted second-hand item. Body style4 DOOR SALOON. Model version codeW213 (Saloon) S213 (Estate). An item has been previously used. Apex Car Breakers Ltd. ModelE Class. Number of gears9. Number of seats5. Number of doors4. For Sale is a 2013 MERCEDES A CLASS 5 Door Hatchback Glove Box. Please see item description for more information you will receive everything you see in the images. Armrest / Armrest Pallet. Key Cover / Key Fob Case. Keep your armrest storage in a more organized shape. Composition: X1 Armrest Container/Pallet. Rear Cargo Mat / Car Nets. You'll have more choices than what you can ever imagine.